The Opioid Crisis is Now Full-Blown! Are Pharmacists Ready? Citation: Nayak R (2017) The Opioid Crisis is Now Full-Blown! Are Pharmacists Ready?. 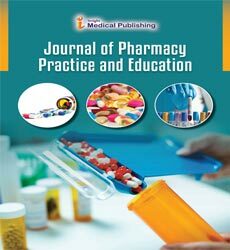 J Pharm Prac Edu 1:4. Copyright: © 2017 Nayak R. This is an open-access article distributed under the terms of the Creative Commons Attribution License, which permits unrestricted use, distribution, and reproduction in any medium, provided the original author and source are credited. Recent figures on opioid overdose-related deaths are raising an alarm for all health care professionals nationwide, particularly for pharmacists. Since 1999, the number of American deaths from opioid overdose has quadrupled, rapidly reaching crisis proportions . From 2000-2014 nearly half a million people died from drug overdoses, and opioids accounted for the majority of these deaths . According to the National Institute of Drug Abuse (NIDA), the crisis cost the health care system about $78.5 billion in 2013 . Centers for Disease Control and Prevention (CDC) reports that around 64,000 people have died from drug overdoses in 2016 . Data from the National Center for Health Statistics (NCHS) shows overdose deaths caused by synthetic opioids like fentanyl exceeded deaths from both heroin and prescription painkillers [4,5]. NCHS figures also indicate that prescription pain painkillers alone caused about 14,400 overdose deaths in 2016 . President Trump in late October of this year declared opioid epidemic a national emergency, a policy step in the right direction . As compelling as these figures are, most discussions surrounding the problem so far have generally revolved around the need to increase funding and public awareness. There has been little discussion, however, about the crucial role (screening, assessment, and counseling) that pharmacists can play by being on the frontlines of opioid prescribing and dispensing. Two of these areas seem apt for pharmacists to take charge of, as they offer tremendous opportunities in prevention and pain management--promoting use of overdose reversing treatments (i.e., Narcan and similar treatments), and adoption of better practices for pain management. Pharmacists today are arguably the most qualified yet underutilized health care professionals in America when it comes to drug therapy. Research documenting the effectiveness of pharmacists in varied practice settings amply demonstrates their ability to achieve better health outcomes and quality of care at substantially lower costs. However, most of the evidence documenting pharmacist success seems limited to the management of chronic diseases and prevention of drug-related problems. Evidence regarding pharmacists’ success and value with respect to prevention of opioid drug problems remains scarce and poorly documented. Successful integration of pharmacy services into opioid crisis management is possible only when pharmacists are granted necessary professional authority to further expand their services. In this regard, much remains to be done on the legislative/policy and curricular/educational fronts. Signed into law by President Obama, the Comprehensive Addiction and Recovery Act of 2016 (CARA) , the first major addiction legislation in nearly 40 years, while laudable in its efforts to address many facets of opioid problem, does little to create a role for the pharmacists in its framework. Similarly, President’s Trump’s recent declaration of opioid emergency does little to secure adequate funding or offer tangible options for provider-based solutions . Perhaps recognizing these legislative deficiencies, many state boards of pharmacies in recent years have granted pharmacists the right to perform expanded functions as “providers” in communities through collaborative or other means. It’s worth noting here that pharmacists are currently not recognized as “providers” federally, and such recognition would be crucial for developing opioid prevention protocols in pharmacies in the future . No doubt pharmacists in many states, armed with access to Prescription Drug Monitoring Program (PDMP) registries, have shown success in protecting communities from prescription drug abuse and diversion while also showing commitment and competence . Moreover, for pharmacists to function effectively as substance abuse screeners and counselors, two crucial elements have to be in place. First, expansion of pharmacist professional authority through legislation and payment reforms must be present to enable proper reimbursement for opioid services. Second, there must be development of pharmacy curricula that emphasize concepts and models of drug abuse prevention and advocacy. Pharmacy students in many schools across the nation receive instruction regarding opioid screening techniques and patient assessment methodologies but schools have adopted these aspects to varying degrees in their curriculum mostly in unstructured manner. Consequently, many new pharmacists entering practice are finding themselves not using these tools as expected or required. As opioid products dispensed continue to receive coverage, the less-than-optimal participation in opioid counseling may also be due to a lack of incentives through reimbursement for specialized abuse prevention services. Finally, we must recognize that acceptance of pharmacist expertise by mental health professionals and their integration into collaborative care teams are necessary for successful opioid crisis management. Rudd RA, Seth P, David F, Scholl L (2016) Increases in drug and opioid-involved deaths-United States, 2010-2015. MMWR 65: 1445-1454. Rudd RA, Aleshire N, Zibbell J E, Gladden M (2016) Increases in Drug and Opioid Overdose Deaths-United States, 2000–2014. MMWR 64: 1378-82. National Institute of Drug Abuse (NIDA) (2017) How Much Does Opioid Treatment Cost? Holly Hedegaard H, Warner M, Minino AM (2017) Drug Overdose Deaths in the United States, 1999–2015. NCHS Data Brief 273: 1-8. The White House Press Release (2017) President Donald J. Trump is Taking Action on Drug Addiction and the Opioid Crisis. National Rx Drug Abuse and Heroin Summit (2017) Secretary Price Announces HHS Strategy for Fighting Opioid Crisis. CADCA (2016) Comprehensive Addiction and Recovery Act of 2016. Davis JH (2017) Trump Declares Opioid Crisis a ‘Health Emergency’ but Requests No Funds. Provider status: What pharmacists need to know now. American Pharmacists Association . Westgate A (2017) Prescription Drug Monitoring Programs Benefit Pharmacists PDMPs help patients, but they can also help pharmacists.